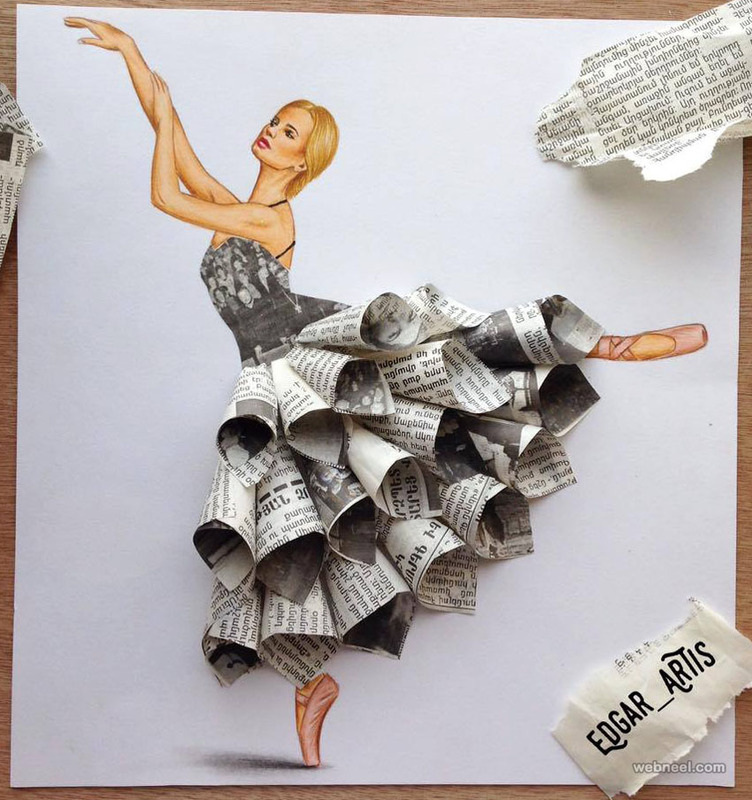 Creative Art / Funny Art ideas : Edgar Artis is an Armenian illustrator who uses a fascinating mix of paper cut outs and pencil drawings using everyday objects. 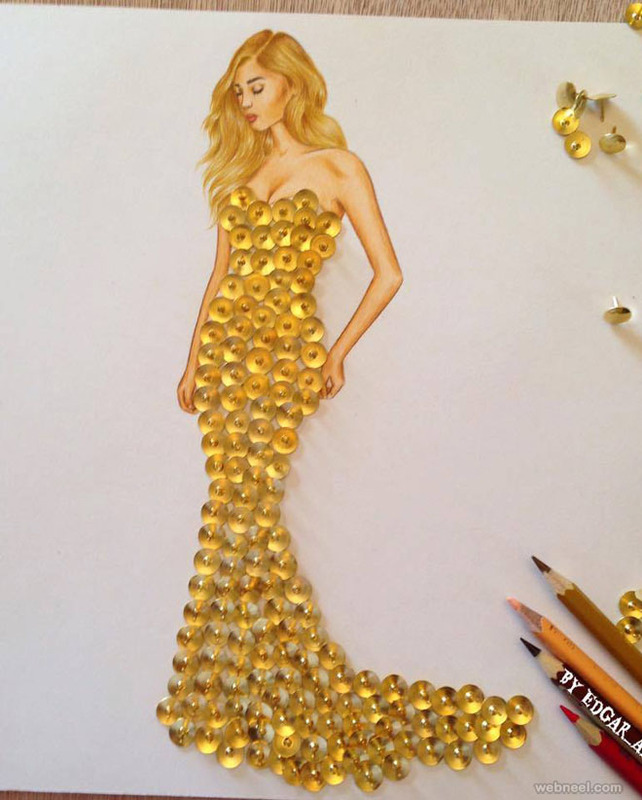 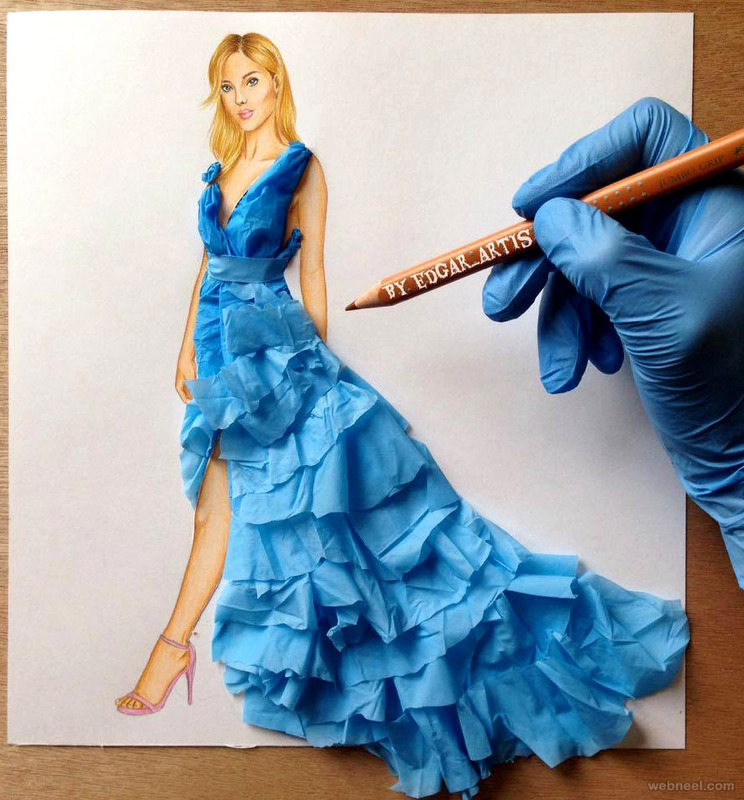 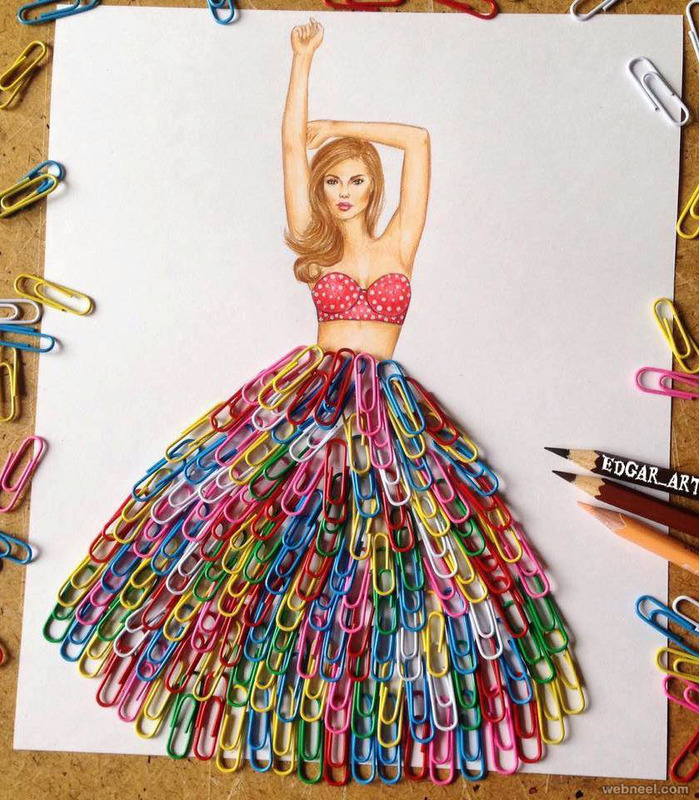 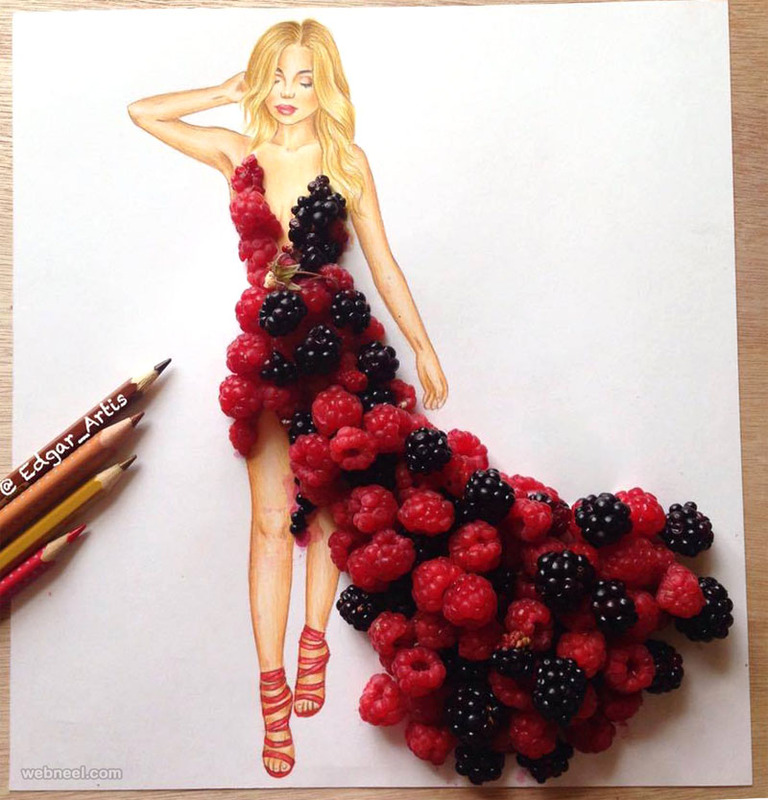 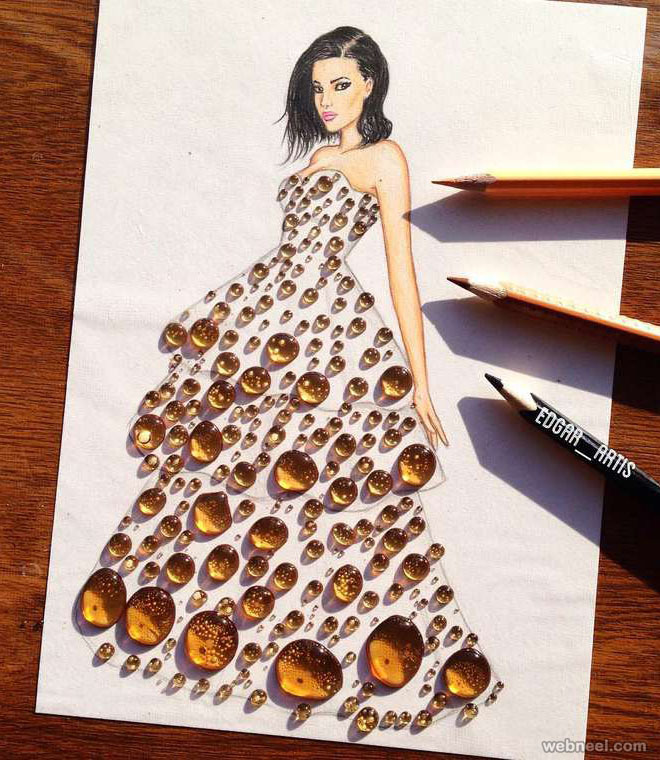 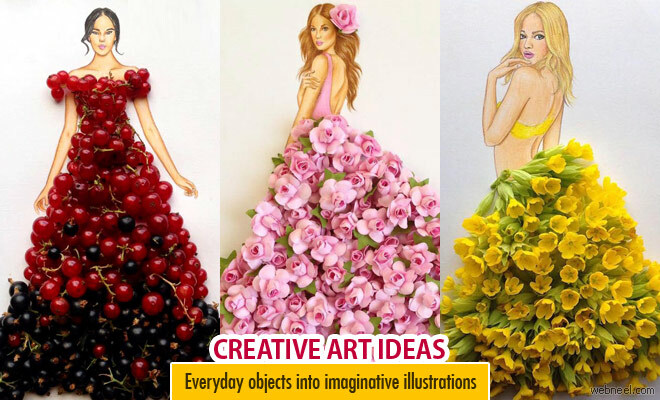 This artist has a wonderful and creative imagination, since he draws these cute little ladies and they are dressed up with wonderful dresses, which is a dream for any fashion designer. 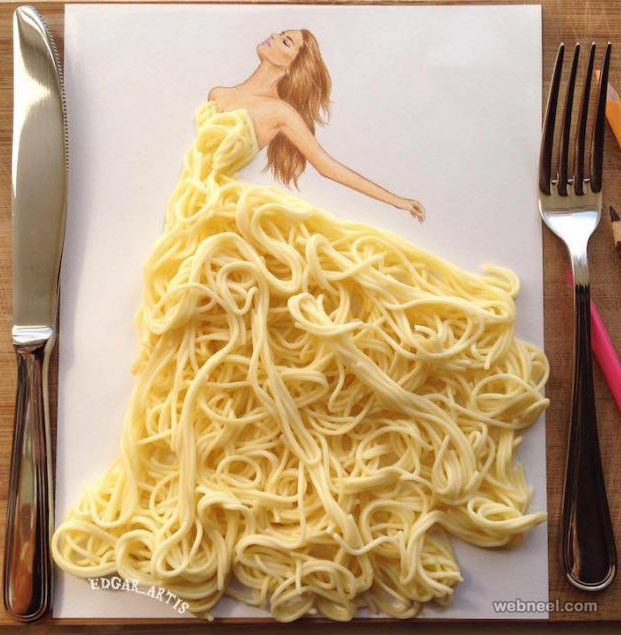 Have you seen outfits made of cheese, burnt matches, noodles, beetroot or even colorful sand? 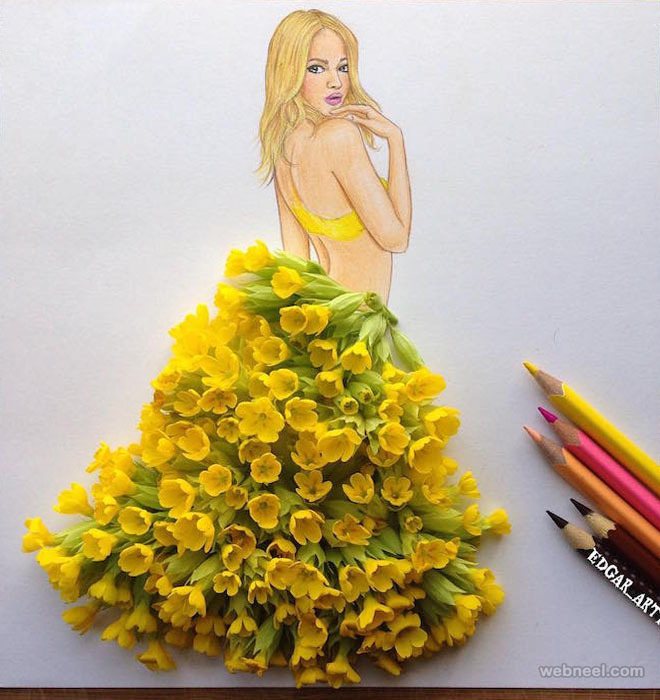 With minimalist drawing, this artist can do wonderful pencil drawings. 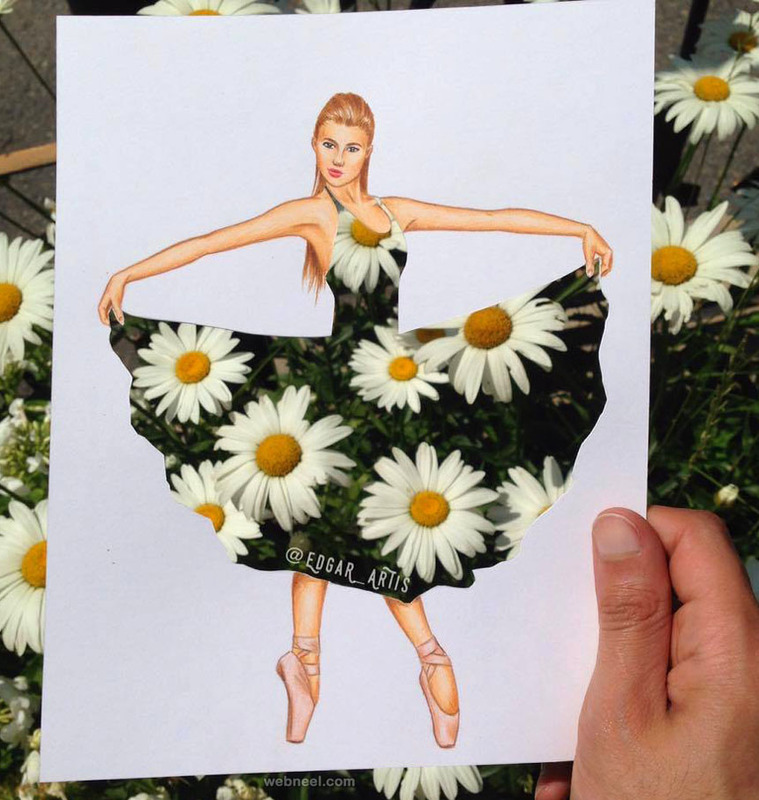 Edgar Artis can draw inspiration from everything around him, be it broken twigs or fallen flowers or even shadows. 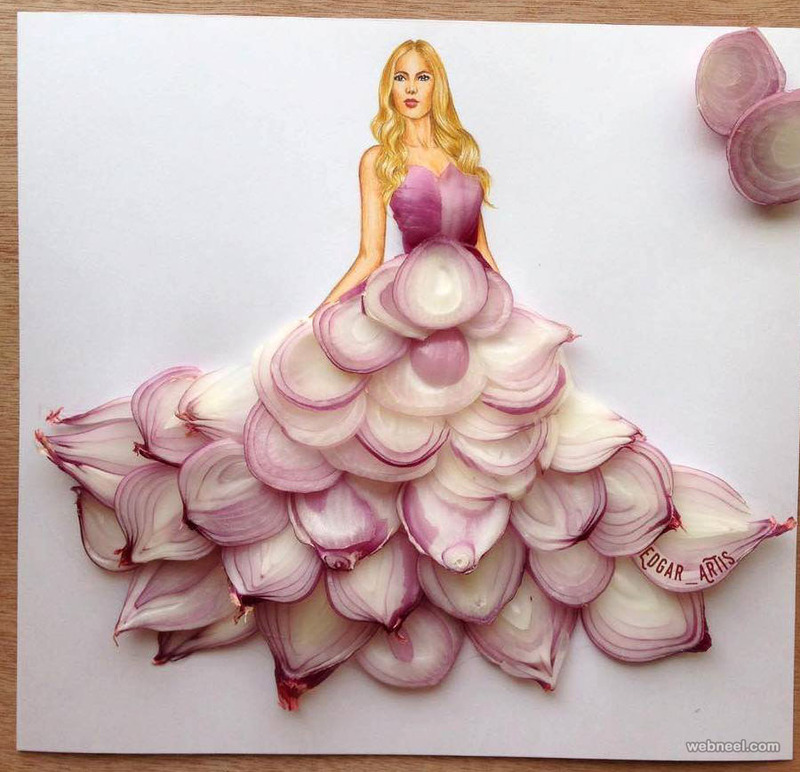 Lets give a food for thought to our amazing fashion designers, maybe next time they can come with dresses which are eco friendly. 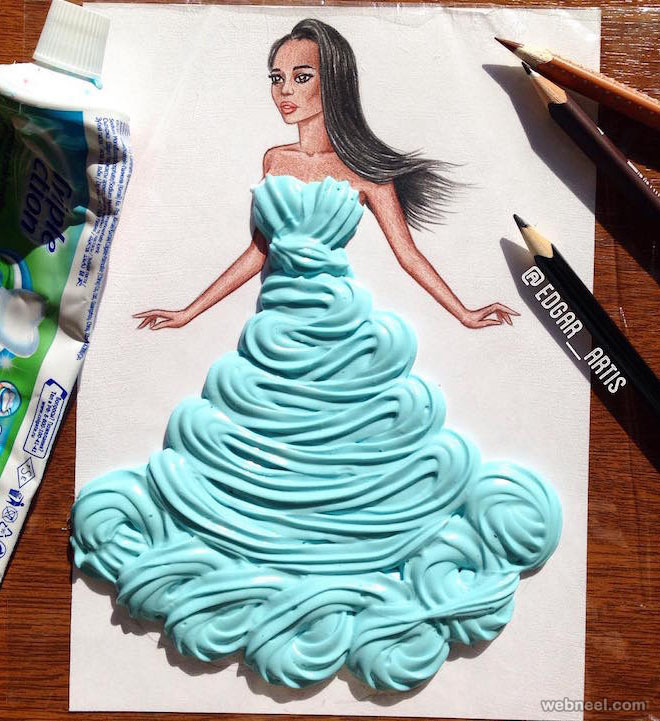 How about getting a fairytale dress and you get to eat it too? 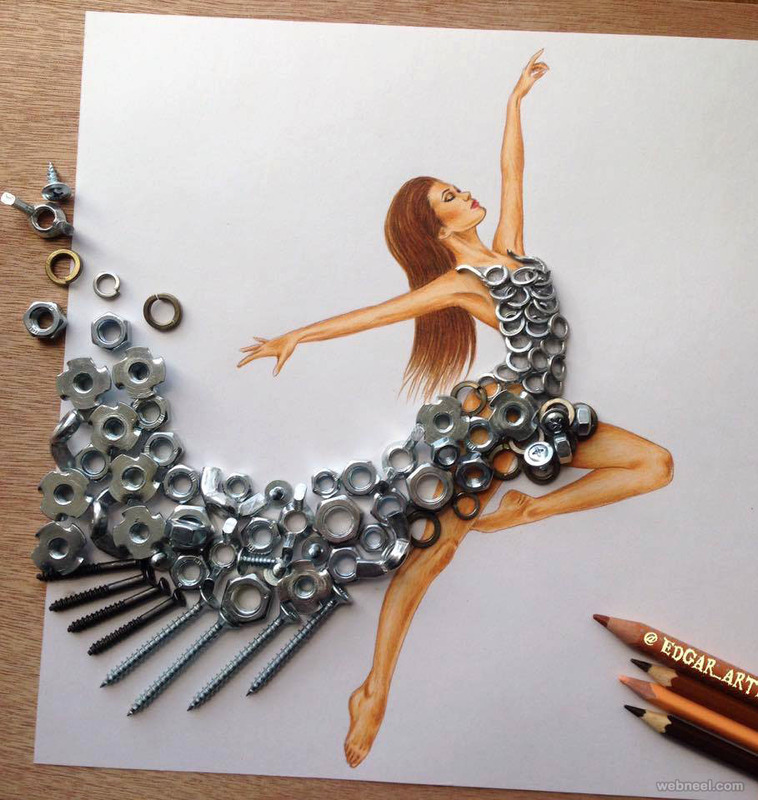 I guess it's less storage problems and people can start living in smaller houses. 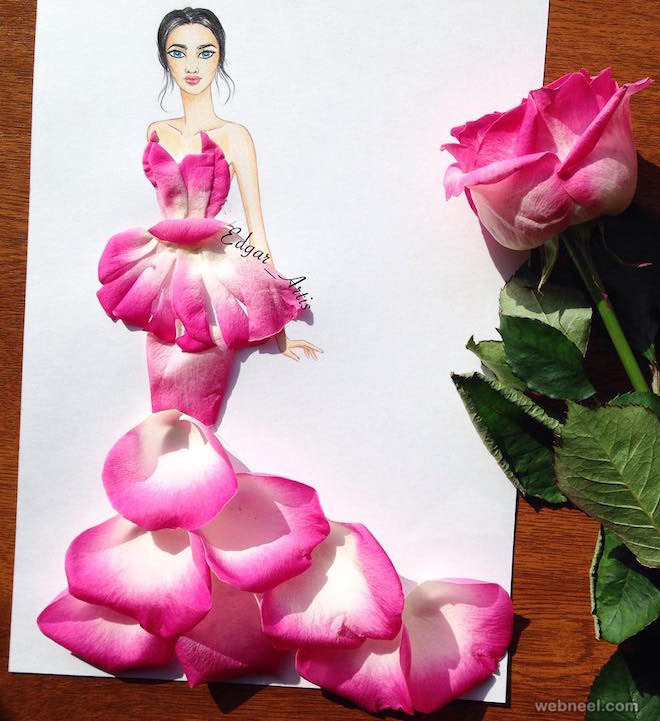 So next time you are looking for a party dress, you just have to collect some fowers or food and your customized dress will be ready in a jiffy. 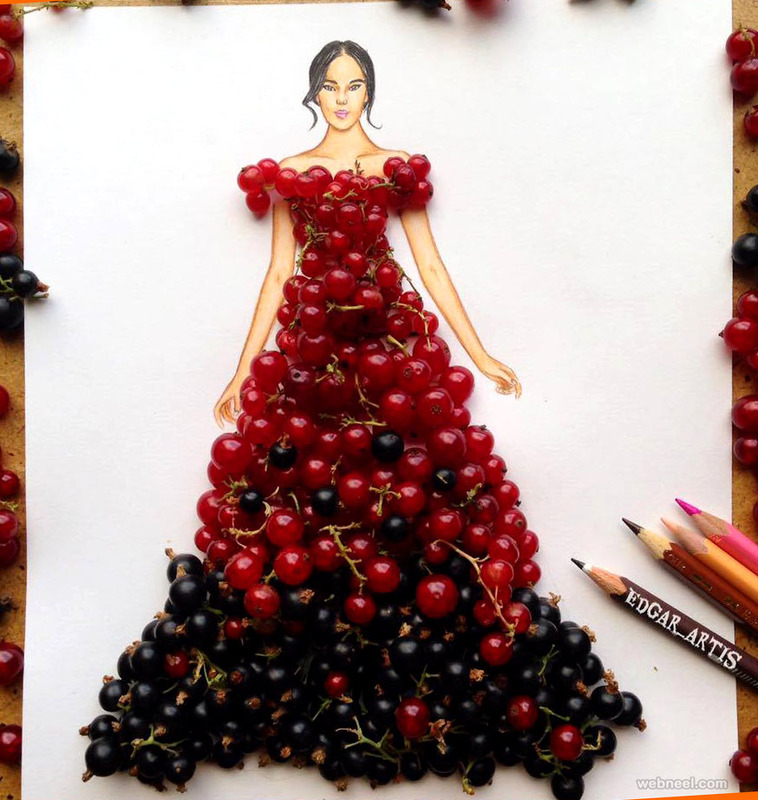 I know it sounds funny, but anything is possible in this reelistic world. 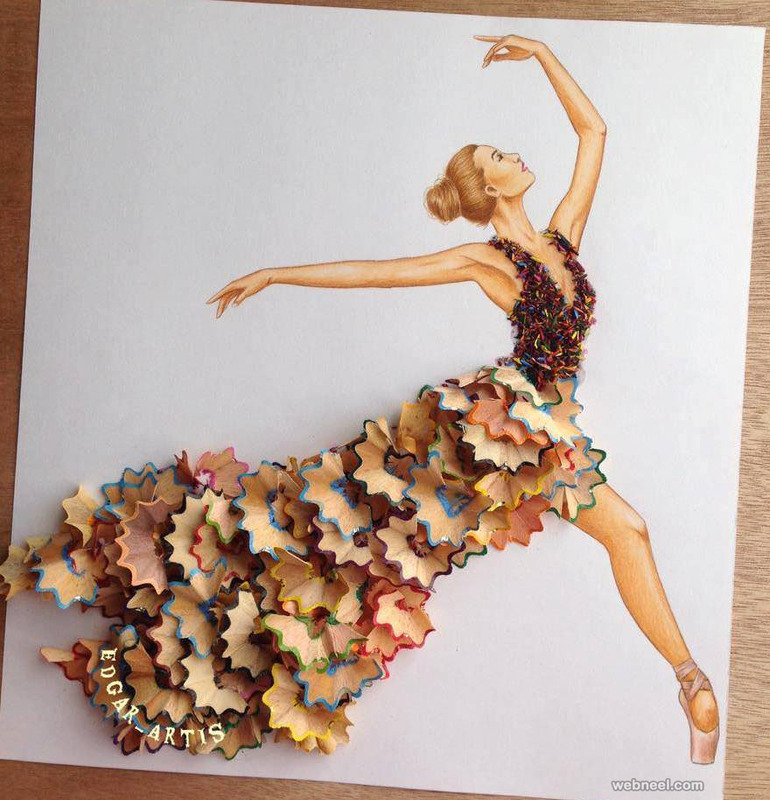 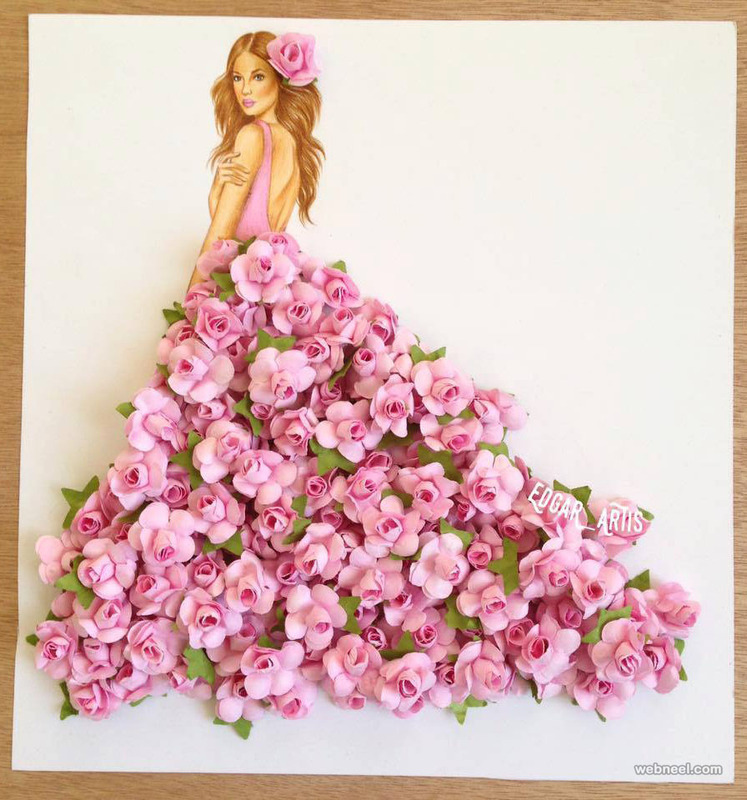 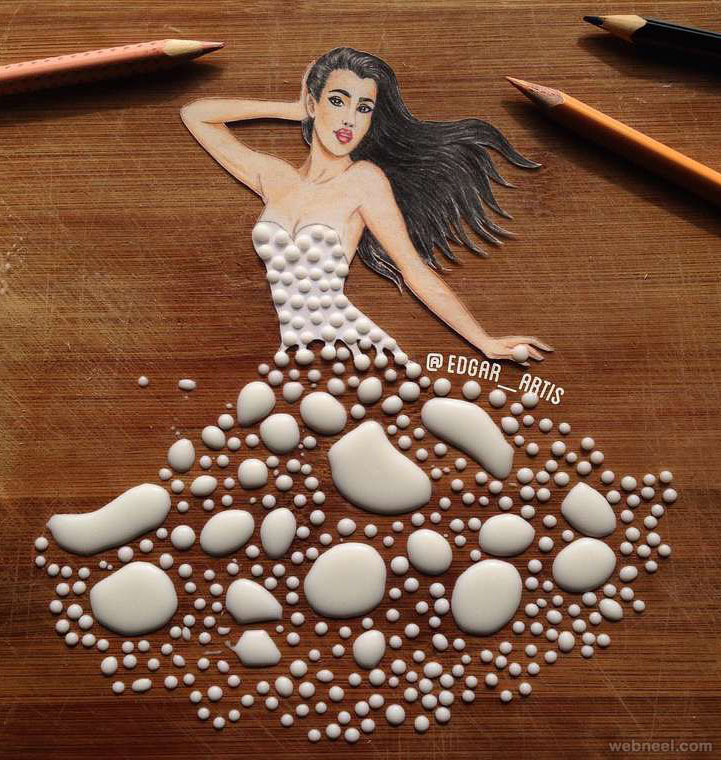 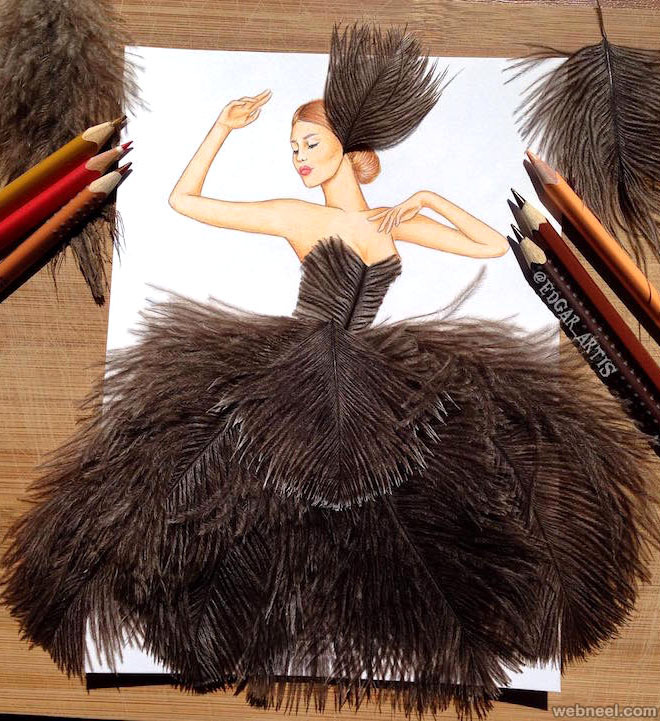 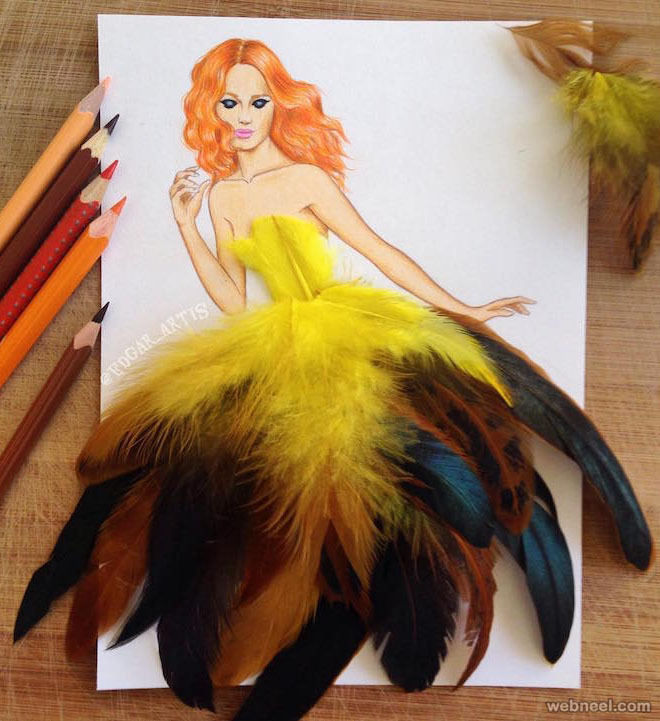 Enjoy these creative art works by Edgar Artis and be inspired.